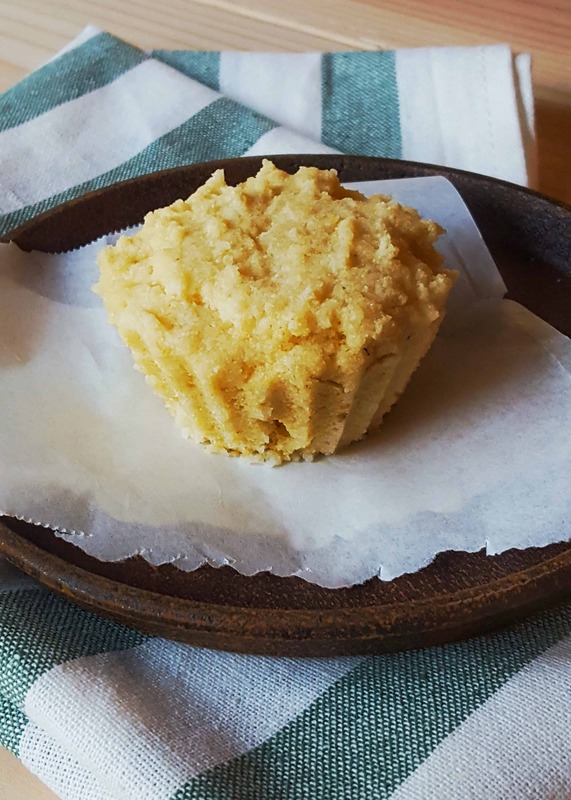 Healthy Microwave Cornbread Muffin - Ready in 90 seconds flat! Microwave Cornbread Muffin – Vegan & Ready in 90 seconds flat! It was a cold winter day. Just a girl, her mug and a mission in mind. Oh, a mission to create a light and fluffy cornbread muffin in just 90 seconds flat! Because I wanted, no, I needed, a quick fix recipe to pair with that Sweet Potato Chili! 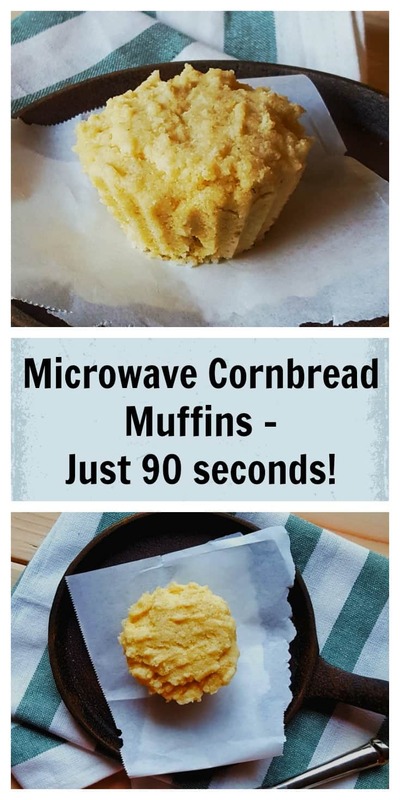 I’m not sure what will inspire you to whip up this Microwave Cornbread Muffin, but here’s a few ways you can enjoy this recipe for breakfast, lunch or a snack! Slather that delicious Cranberry Chia or Homemade Fig Jam between this golden deliciousness! No salad is complete in my book without a CARB! Both the Spinach Eggs Nest Salad or the Buffalo Chicken Bowl would be OVER THE TOP with this by their side! Step aside Marie Calendars, we can do one better at home! Pair with the Savory Squash Stew, Firehouse Chili or Heirloom Bean & Spinach Soup. Toss in a few chocolate chips to the mix and satisfy that late night sweet treat! Oh, and of course, top with peanut butter! See, I told you, the possibilities are endless! 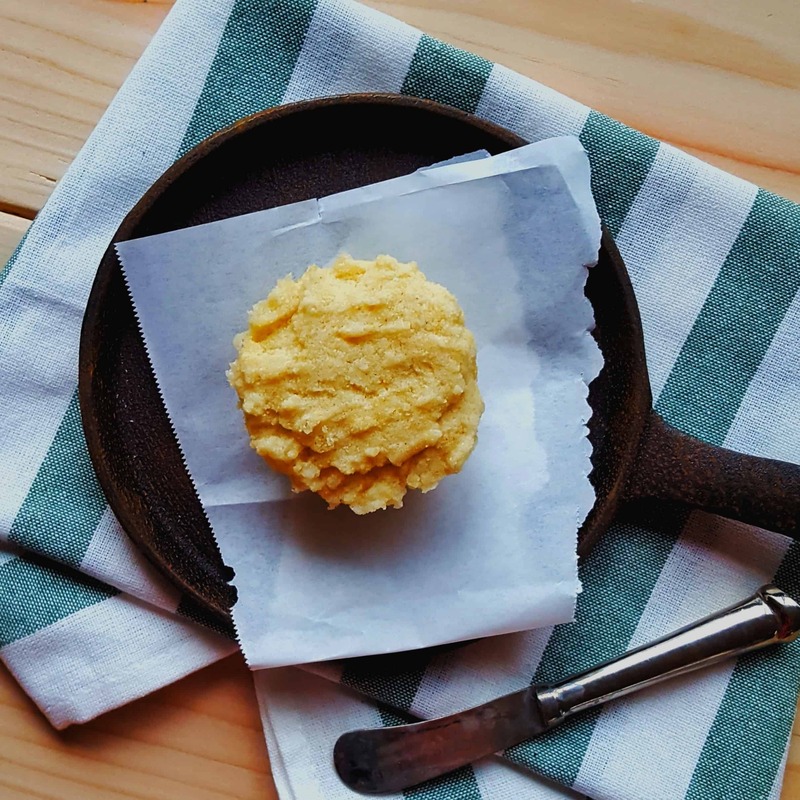 If you’ve got 90 seconds, you’ve got time for this Microwave Cornbread Muffin in your life! Microwave Cornbread Muffins are the latest and greatest 90 second treat to hit your kitchen this year! Don't miss out- if you've got a few seconds, you've got a delicious and nutritious snack! In a small bowl or mug, mix cornmeal mix and baking powder. Add in the vegetable oil, applesauce and milk. Stir until combined, 30 seconds tops! Spray a small mug or microwave safe dish with cooking spray. Remove with a kitchen towel (it will be hot). Have you jumped on the microwave individual serving chain? If not, be sure to check out my latest piece for Shape here to get some more inspiring recipes too! I loved your shape article- I’m not a fan of mug cakes so I was excited to see some other easy microwaveable options! Do you have the carb count for this recipe? Hmm great questions! I haven’t tried that so it’s hard to say. Maybe start with 3 muffins and experiment with the time from 60-90 seconds. I wish I had a muffin tin like that I could place in the micro! This is perfect in a time crunch when I dont have an hour to cook my normal cornbread recipe!!! What a great recipe! And this is perfect because I hate recipes that make so many they end up going bad on my counter in a day or two – with this I can just make what I need! I skipped cornbread the other night at dinner because we didn’t wanna wait to eat. Clearly now this one will save the day next time! Running out to the store to buy cornmeal mix. Such a great idea!! When I want a quick yet tasty cornbread with my dinner I always make this! How fun is this?! Pinning now! Anthony is going to be the happiest person on the planet with this one!!! Saved! You just ignored the question from Lisa. I was wondering the same thing. I’m so sorry! I switched web hosts over the last weeks and all my message replies got jumbled! But, to answer your question the applesauce replaces a traditional added sugar like honey or cane sugar used in cornbread recipes. Making this in my Barracks cooking class tomorrow – Very excited to try it out! Oh how exciting! I hope you enjoyed it, let me know what they thought!